My Sister Sandi’s Birthday | Cook, Party, Enjoy! 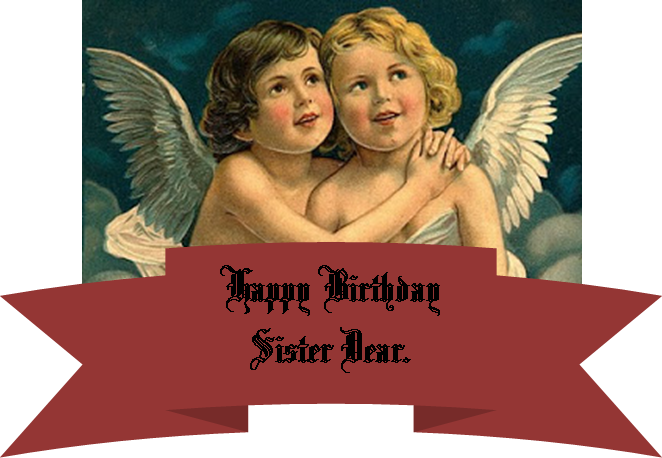 August 22nd is my Big Sister Sandi’s Birthday. To wish her a happy Birthday I found this picture of two angels which look a lot like us. So to my big Sister on her special day I offer this tribute. I was inspired by my sister’s birthday, her being my eldest sister it made me nostalgic and I started thinking about my family so I decided to write about my parents’ first meeting. This link will take you to that post. All I need is your email address to follow Cook,Party,Enjoy and receive notifications of new posts to your email. TYPE OF POST – Find what interests you!